Free shipping on orders over 30,000 KRW. When you get a discount and the checkout price is changed, you may not be able to get the free shipping offer. Solid-colored artificial leather with a voluminous metal logo decoration. Strap details in logo pattern allow for a variety of styling as well as an athleisure look. From the front zip-pocket and the inside double pocket to the flat open-pocket on the back, it is easy to collect. 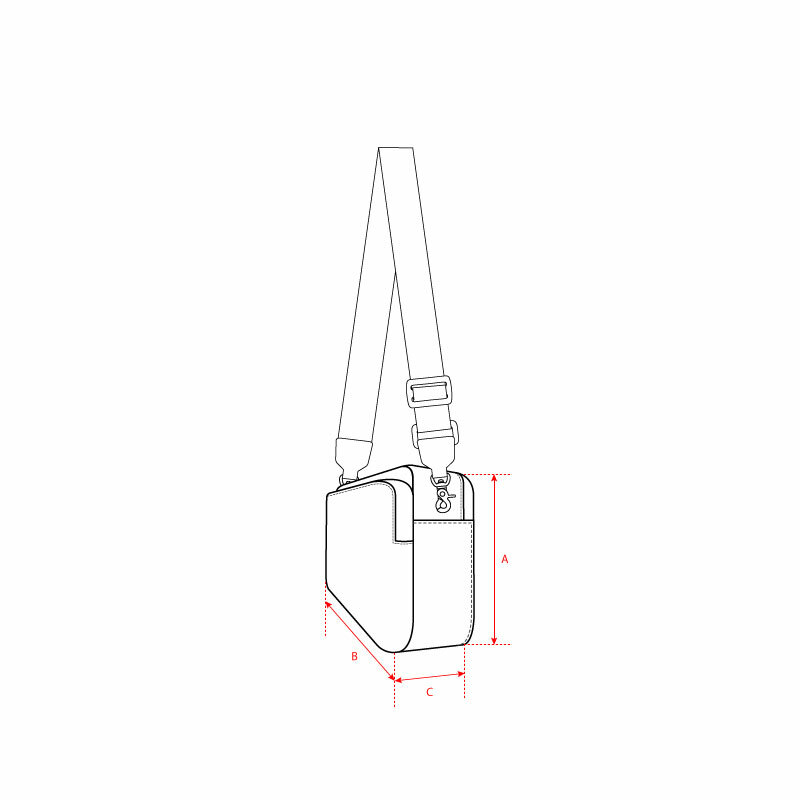 Easy to detach and adjustable strap for 3way bag. (belt back, cross body bag and clutch) This item is practical because it is 50% lighter than ordinary leather handbags. Your order is registered at the moment of checkout, and the store will send you "product ready" SMS. Please make sure you receive the 'product ready' message before visiting the store, or call the store. You may not be able to receive the product if you visit the store before receiving the 'application completed' message. Please apply for exchange via online mall or the store concerned. * 온라인몰 구매 시 선물 포장 및 쇼핑백 동봉 불가합니다. All products on the Strech Angels online mall, which is directly run by F&F, are authentic and same as products are on sales in Strech Angels offline stores. We do not permit the unauthorized collection of e-mail addresses. We do not permit the unauthorized collection of e-mail addresses used on this website such as through a program or other technical devices collecting e-mails. Violation of the above is punishable under the IT Network Act. Penalties Any one who falls under any of the following subparagraphs shall be punished by a fine not exceeding KRW 10 million. No one may collect any email address from this website using software that automatically harvests email addresses or other technical devices without prior consent of the operator or administrator of this website. No one may sell and/or distribute email addresses collected in violation of Clause 1. No one may not use any email address prohibited to collect, sell and/or distribute according to Clauses 50-2.1 and 2 in transmitting information despite being aware of such prohibition. Purpose of Use : to provide STRETCH ANGELS's the latest news. You can check STRETCH ANGELS stores.